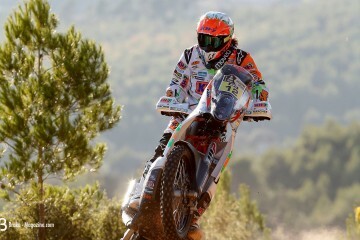 Newsworthy – How Much Does The Dakar Cost? Newsworthy is our regular news update. Instead of killing your inboxes with re-hashed press releases or junk you don’t need, we’ll pull out a few interesting products, stories and other things we stumbled across from recent times, write our thoughts on them and let you read the info for yourself. The complexity behind reaching the end of the Dakar Rally is immense. A great number of pieces must fall into place both on and off the bike. The financial hurdle, for the vast majority of competitors, is a huge hurdle to clamber over. Everything from the €14,800 entry fee, to the medical, flights, bikes, parts, assistance and time all add up to something far higher than you’d realise. Two time finisher Manuel Lucchese, has more than enough experience of the uphill challenge to generate the funds to chase the massive goal. The above video outlines the numbers fantastically, as Manuel once more seeks to compete in the unbelievably gruelling Malles Moto (Non Assistance) class. 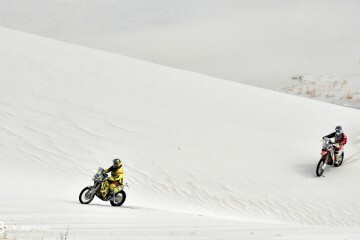 To read about Manuel’s incredible journey to finishing his first Dakar click here.